The The Viper RTA by Wotofo is a single coil rebuildable tank atomizer designed for vapers looking for the best flavor. The Viper RTA features a dual post build deck with airflow directly underneath the coil for pure flavor. The Viper RTA features a rounded top chamber to minimize condensation. The Viper RTA also features a juice flow control system to help minimize leaks when not in use. The Viper RTA features a 3.0ml e-Liquid capacity with a deep juice well supported by a large wicking area. 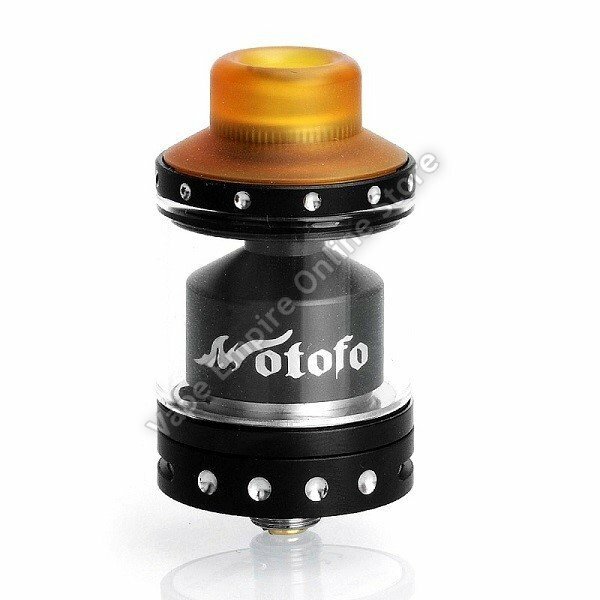 This RTA may be refilled using the convenient top fill design with twist off cap. The Viper RTA features dual airflow slots that may be adjusted down to your personal preferences. This rebuildable tank atomizer features a beautiful stainless steel 316 construction with a sleek ULTEM top cap. The Viper RTA includes a ULTEM top cap. ULTEM is a high temperature plastic with a significantly higher melting point compared to Delrin. ULTEM is also a very hard material, making it a suitable choice when threading into stainless steel.